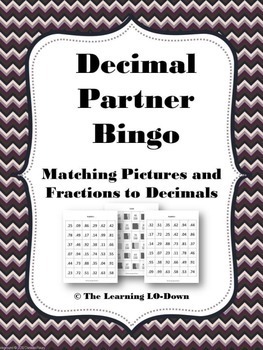 This is a game where students work with a partner to compare a picture or fraction to a decimal. 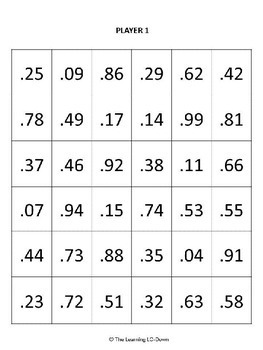 Students have to identify the decimal that is shown and then cover it up on their game boards. 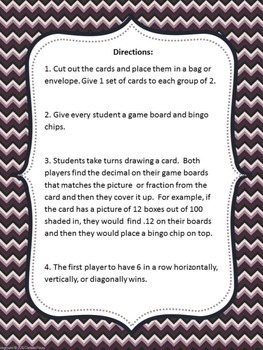 Directions and game boards and cards are included. 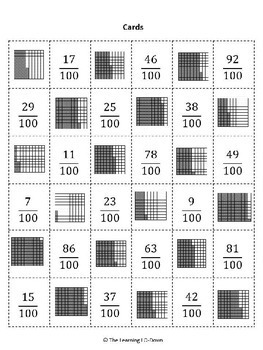 Your students will love playing this game! • Look for the green star next to my name and click it to become a follower. You will now receive email updates about this store.